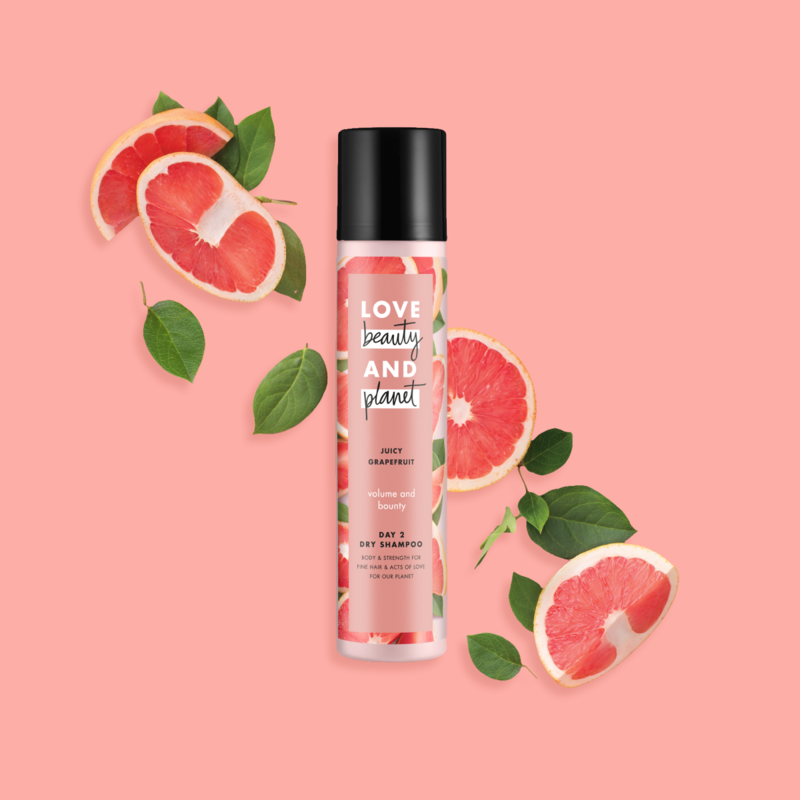 Unilever launched a new eco-consious, vegan, cruelty free beauty brand called Love Beauty & Planet. 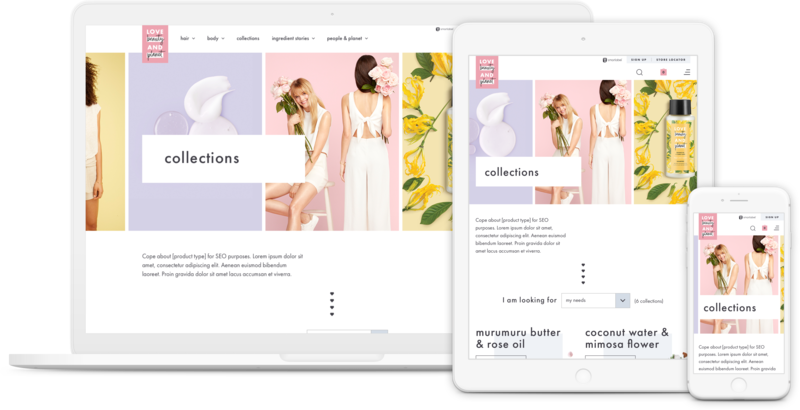 I created a digital ecommerce site to introduce the pioneering and passionate brand, while laying the groundwork for global expansion. 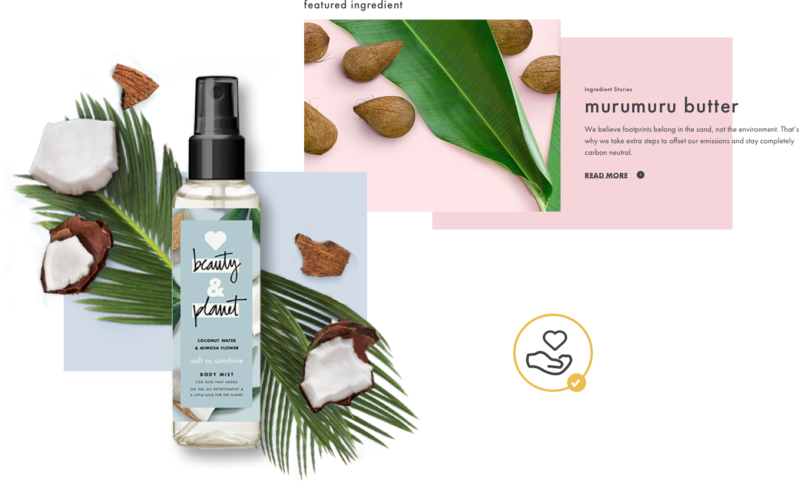 Together Carrot Creative, Sapient and JKR crafted a digital identity and eCommerce site for Unilever’s Love Beauty & Planet 2018 product launch. 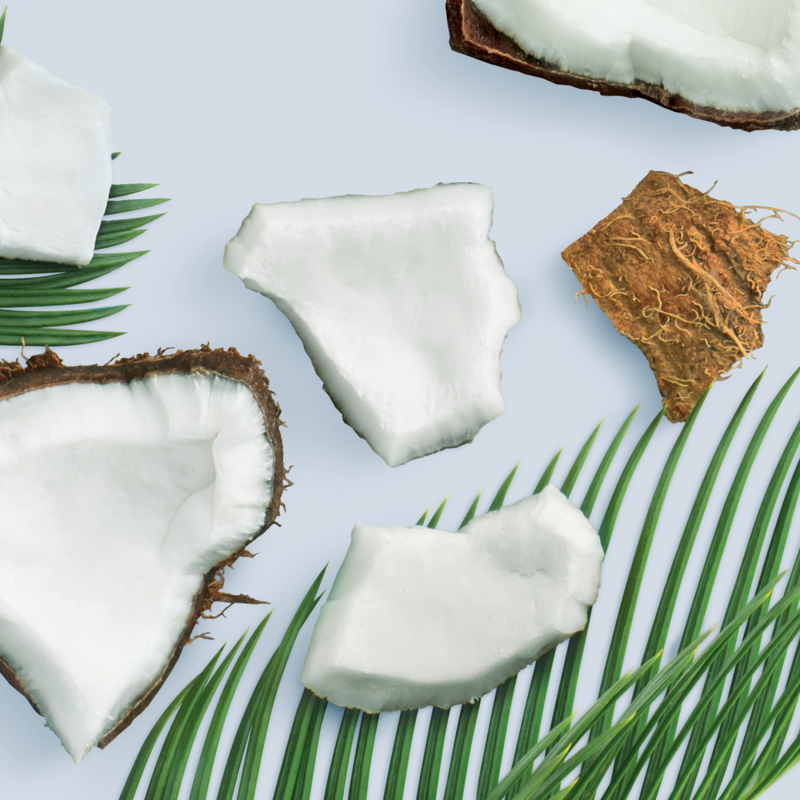 Using a pre-existing framework, I cohesively designed and built and launched a 50 piece product ecommerce site and marketing campaign within just two months. 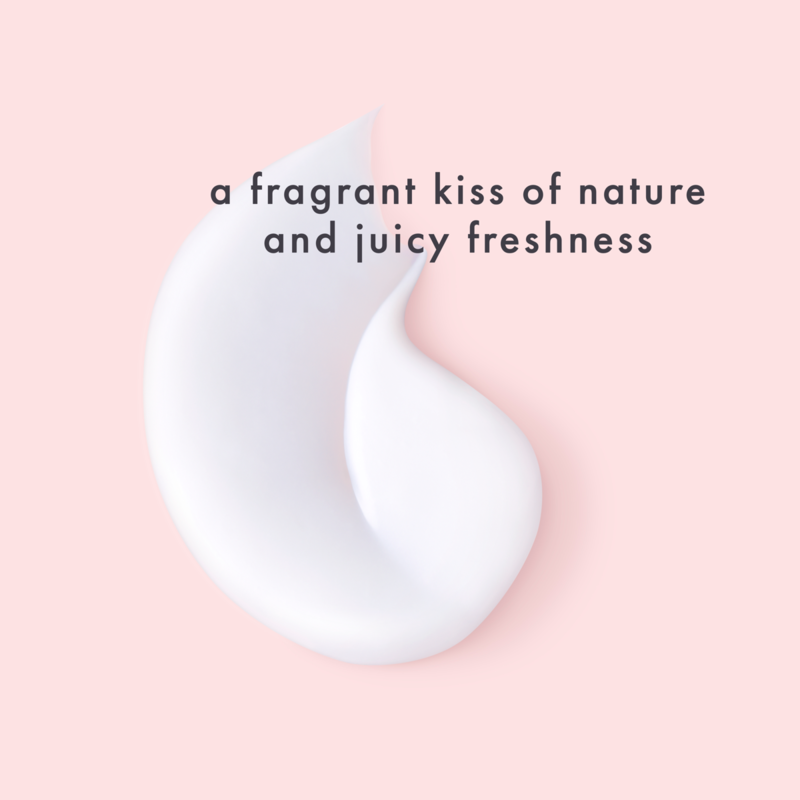 I was given beautiful brand guidelines that focused on packaging and retail displays, but had 100% freedom for translating to all things digital. I started the website designs long before we started finalizing the look and feel of the campaign. 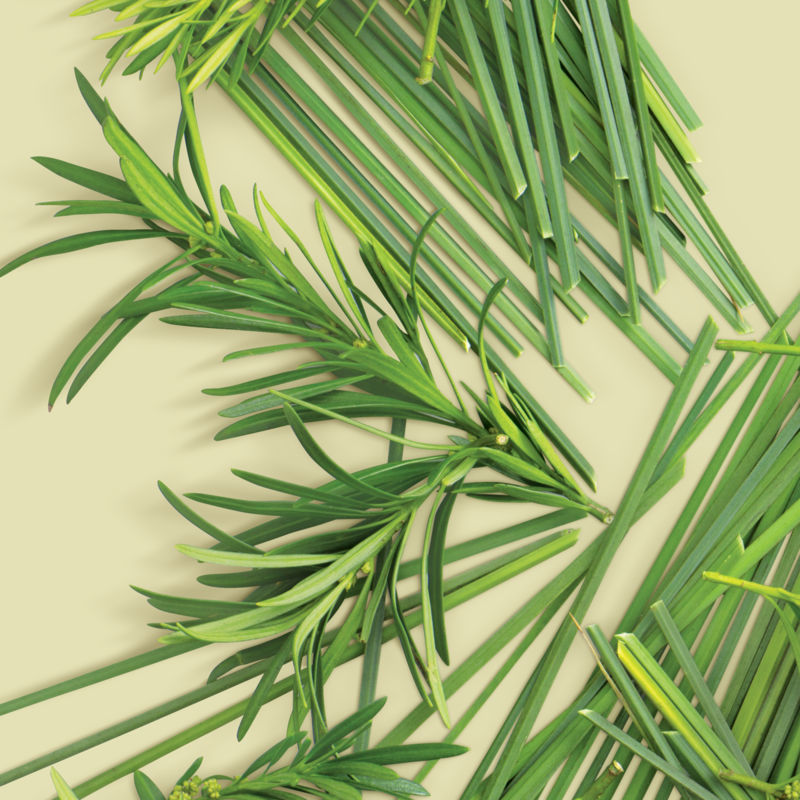 Color is inspired by the natural ingredients and is used boldly throughout. The purpose of the typography is to call attention and tell simple to read stories. 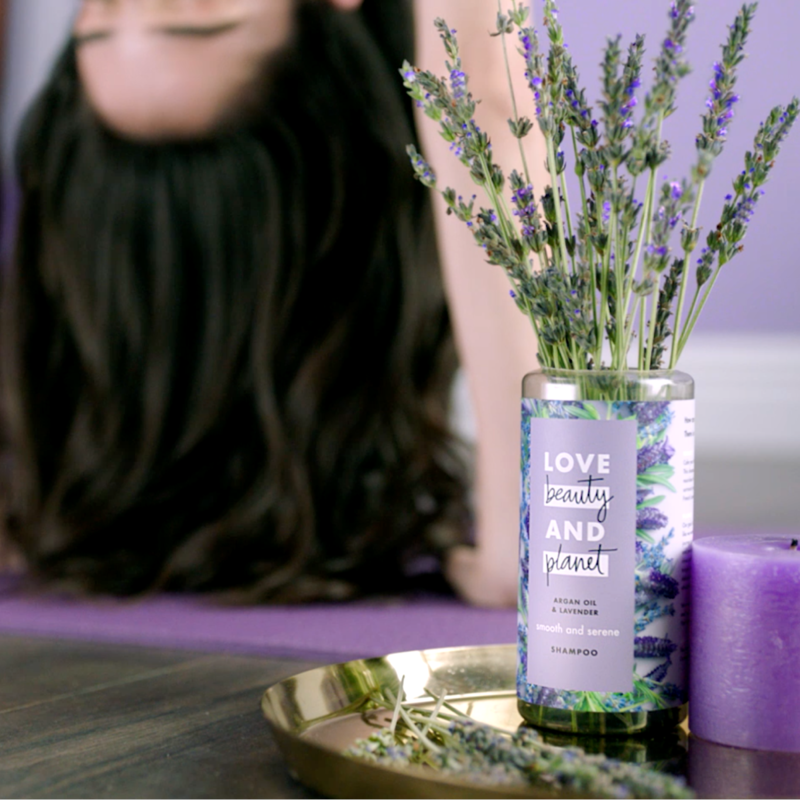 LBP's focus on honesty and generosity shines in the positive, bright & energetic imagery that capture the beautiful moments in life. This site needed to accomodate three breakpoints, desktop, tablet and mobile. While working within Sapients Unilever framework, we were posed with built in limitations in addition to the technical restraints and accessibility requirements. 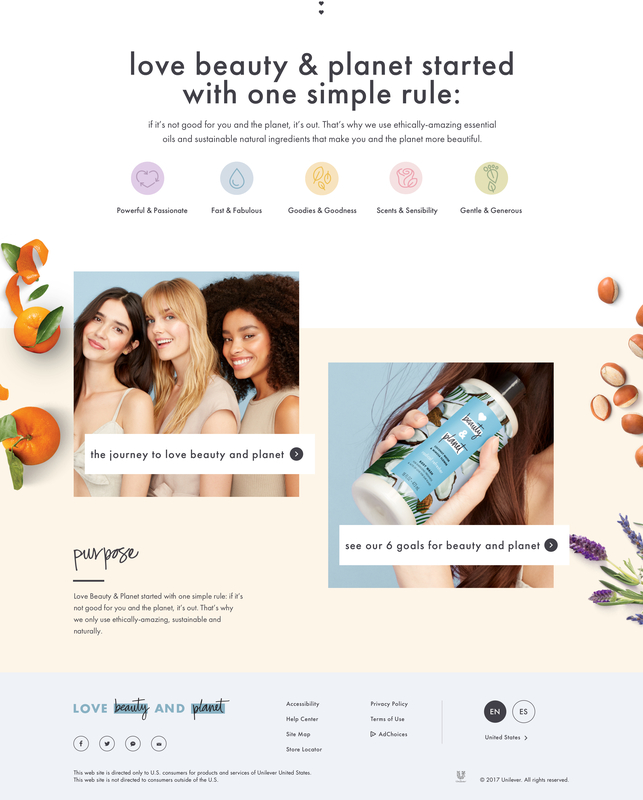 I was left to create a dynamic modular beauty site with almost no video or parallax capabilities. I used a lot of off set color blocks and overlayed image and text to keep a dynamic look and feel. 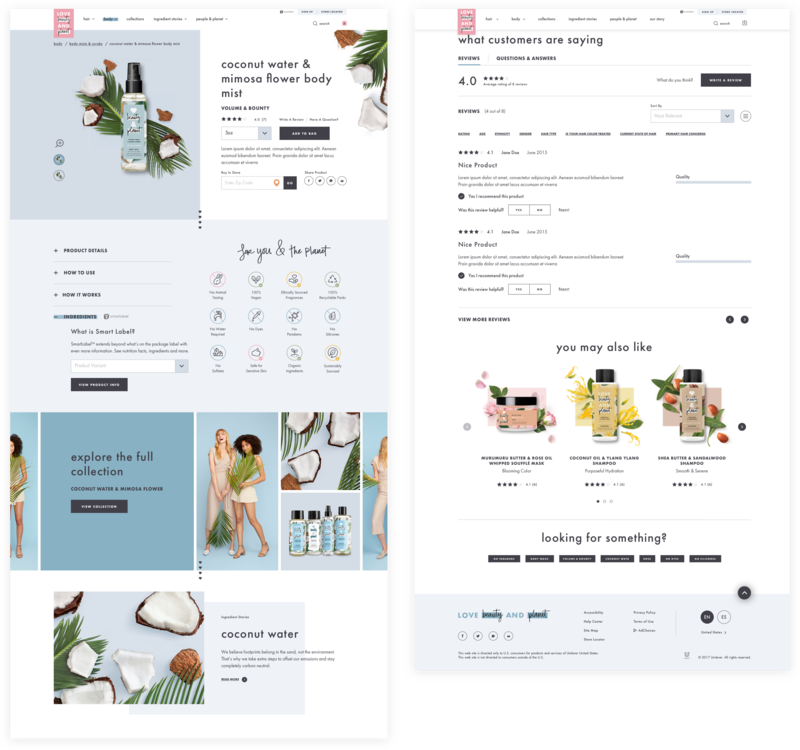 Our goal was to design a personal care brand e-commerce site within a predefined framework would function cross device desktop, tablet and mobile. While working within Sapients Unilever framework, we were posed with extra built in limitations in addition to the technical restraints posed by digital design. 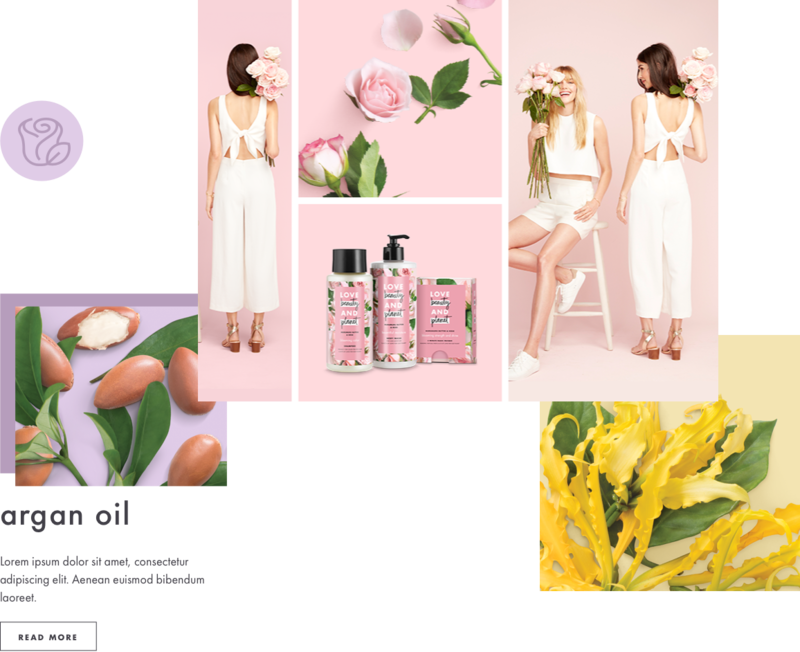 The most important was to create a dynamic modular beauty site with almost no video or parallax. 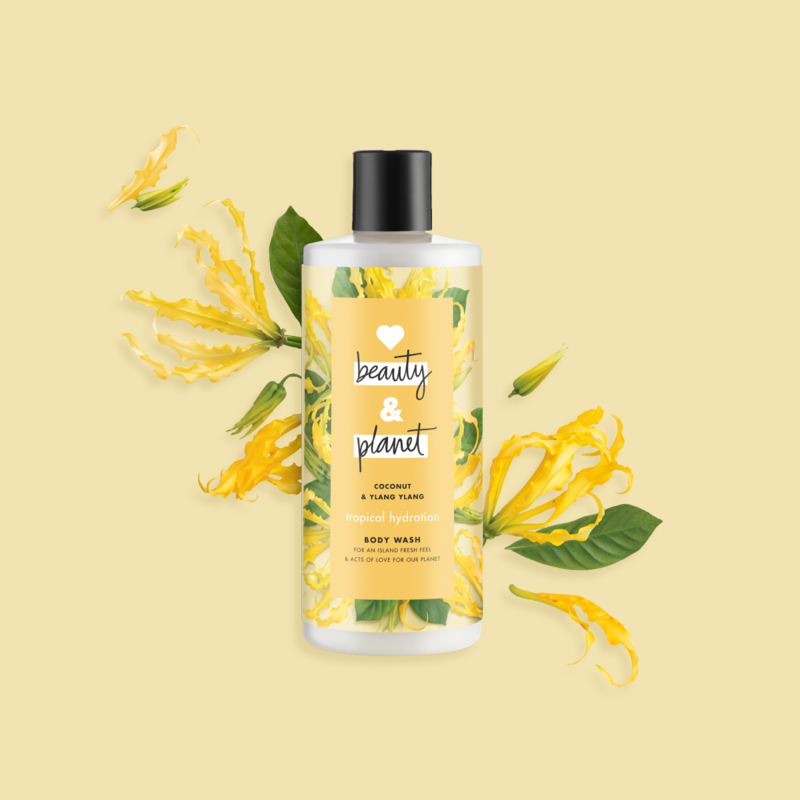 Due to the depth of research that went into Love Beauty & Planet's product design, it was important to the client we show the immense diversity of product, ingredient and model content. We were limited to accomodating 3 breakpoints with only one image source per page so creating a film strip style compostion was the perfect cross platform solution.